What Are You Most Looking Forward to in Doctor Who Series 10? 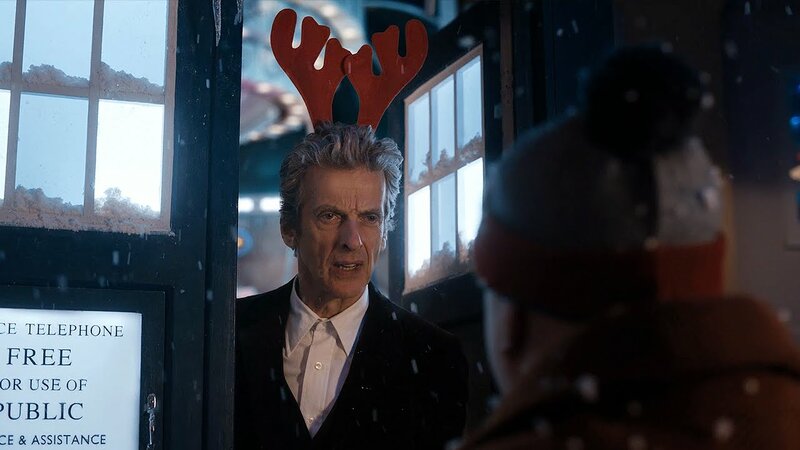 We can finally say it: Doctor Who is back tonight. 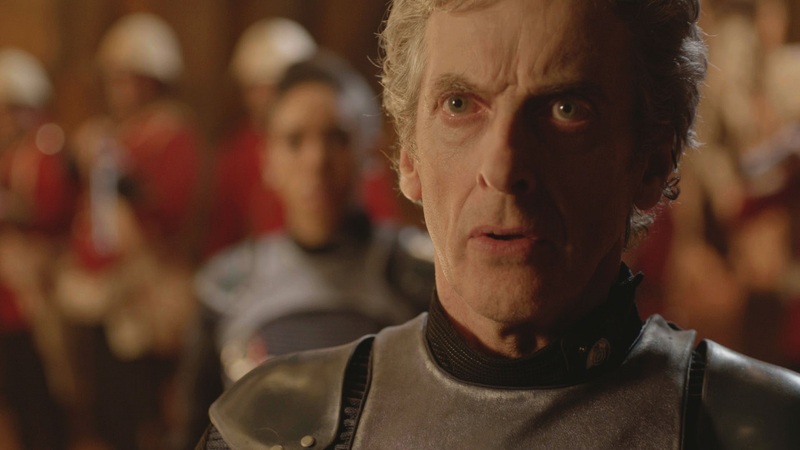 With 12 episodes to be added to the Doctor Who mythos, there’s a lot to look forward to. It’s no great secret that two episodes from the end of Series 9 I was suffering from burn-out. 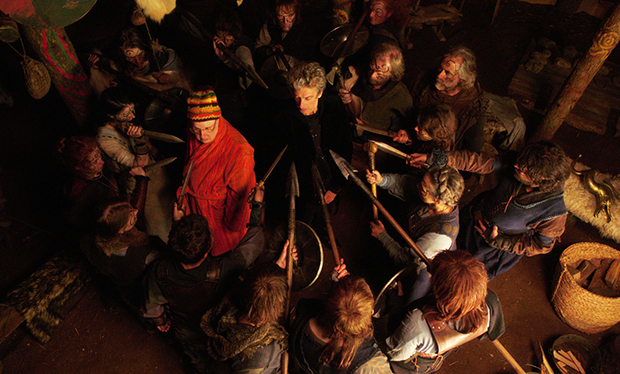 Doctor Who had lost its capacity to surprise me, to thrill me – even to excite me. But a year in which there was, by and large, very little in the way of new content has actually done me the power of good. I’ve learned to stop taking it seriously and realised that perhaps Doctor Who doesn’t have to be great, game-changing TV. Perhaps it just has to be fun, and perhaps that’s as much down to the way we receive it as the way it’s presented. 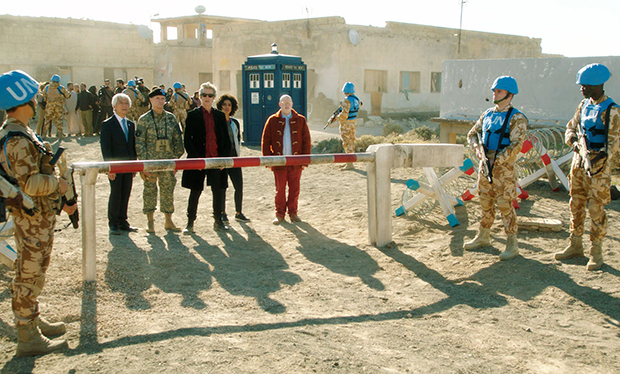 Steven Moffat’s purposely designed this series as one that can be enjoyed both by established fans and those who are experiencing it for the first time – but there’s no reason why the veterans among us couldn’t be both, if we make an effort. So I’m excited about approaching the new series from the perspective of someone who’s seen it all – but not with these eyes. 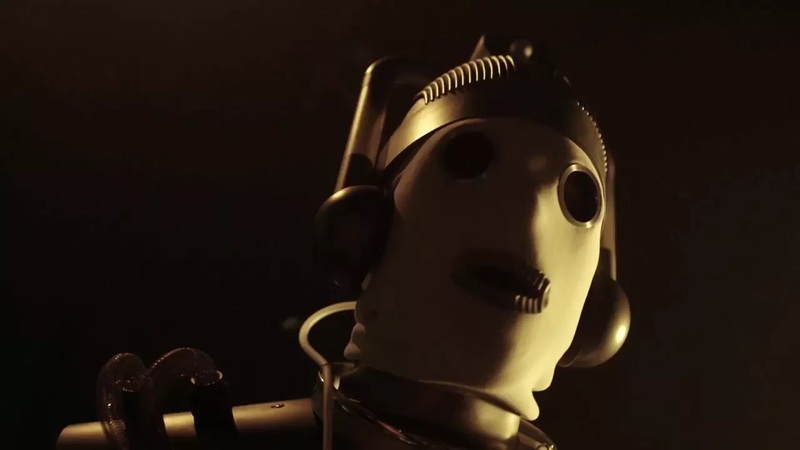 Plus the Mondasian Cybermen are coming back, and Rachel Talalay’s directing them. Honestly, how could anyone not be excited about that? I’m looking forward to a run of Doctor Who stories that celebrate, but are hopefully not in thrall, to the show’s past. I’m cautiously optimistic about the appearance of Mondasian Cybermen, a new version of the fearsome Ice Warriors, and other elements of Doctor Who‘s 50-plus year history that will be making a return (is there any chance that McGann might be one of those elements? Let’s be honest. Probably not.) The fact that Steven Moffat thought that The Husbands of River Song was likely to be his last episode of Who could prove to be a very good thing. Unfettered by numerous questions about unresolved plot threads, are we going to get a less ‘timey-wimey’, more back to basics iteration of Who? I hope so although only time will tell (after all, it always does). Capaldi is one of the best Doctors ever, but I don’t think the story arcs he’s had so far and the lingering elements from the Matt Smith era have done him great favours (although I am a fan of Jenna Coleman and the work she’s done). While I’d love the picture of Susan on the Doctor’s office desk to mean we might get an appearance from Carole Ann Ford, and let’s not forget Mr Capaldi has got his way with the Mondasian Cybermen, I’m focussed on what I know for certain. That certain thing is the Ice Warriors. I’ve always liked these armoured Martian reptiles, no doubt as my memories of watching the show extend back into the early years of Troughton. I was disappointed with how Cold War brought them back – hidden in the shadows, robbed of armour, and not at all the Ice Warriors of memory. 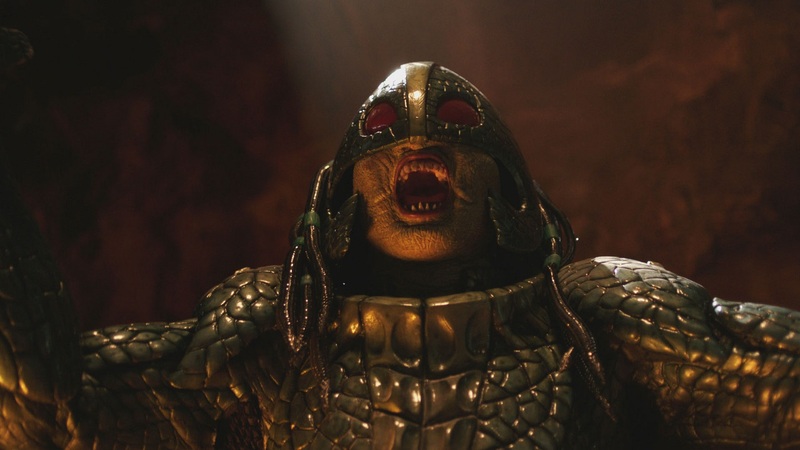 Of all the villains in Doctor Who, these moved on, and on Peladon were revealed to have outgrown violence. Against this, Cold War failed to deliver, and that despite the claustrophobia of the submarine setting and the presence of David Warner. I’m not trying to suggest their every appearance in the 20th Century was a classic, but I do feel they deserve better treatment. This time round I’d just like to recognise the Ice Warriors as being the Ice Warriors. They can have evolved or changed, but let’s first establish a little bit of continuity, please? 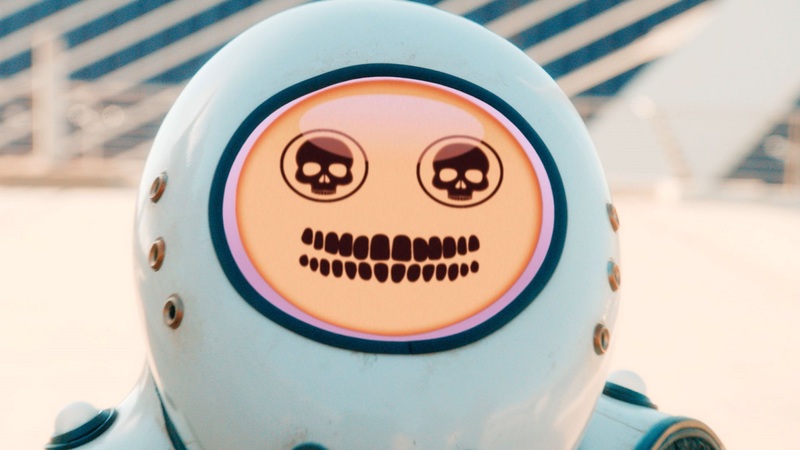 I’m most looking forward to seeing the Mondasian Cybermen reappear… Animated corpses still in their body-bag with incongruent sing-song faux-conversational voices. I love how they demonstrate the loss of humanity so brutally and how their voices suggest the blithe optimism of a culture trying to recreate normal interactions but getting it so very very wrong – and then those chatty, semi-friendly voices hanging around after they turned into monsters. Hopefully we’ll see weirder, less-stompy, and less sleek versions of the silver giants. 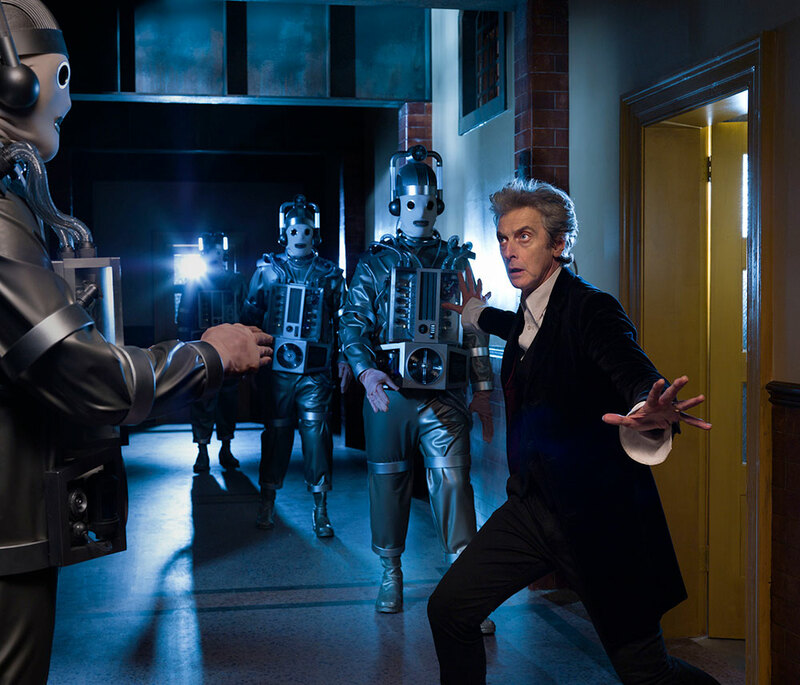 I can’t wait to be creeped-out again by the original tin men and can’t wait to see Capaldi go up against his favourite foe! What am I looking forward to? Just more Peter Capaldi. I keep holding on to the idea that there’s a secret plan that he’s not REALLY leaving, and it’s all a ruse to get more people to watch. I doubt they’d be THAT deceptive with it, but for me Capaldi is the perfect Doctor. He’s a brilliant melding of the kind of classic series Doctor we used to have with the kind of Doctor we get in the modern show. So just basically more attack eyebrows, is what I’m looking forward to the most! I’ve been a fan since 1983, and I generally try not to get too worked up over preconceived notions as to what I want to see. We’ve already been given several nods as to who and what is in this series, and I’m OK with that – they look like fun. Gotta leave some surprises as to what’s coming down the pike – I find that works better than getting all worked up as to what I think is coming. I have tried – oh, how I have tried! – to avoid as many spoilers about Series 10 as possible, but the internet tidal waves surrounding Bill’s sexuality, sock-faced ’60s Cybermen, and John Simm’s return have made my efforts almost impossible. So, figuring that Mr. Moffat has nothing to lose and can go as fan-fictiony as he wants, I’m going to go for broke as well: I would love to see a multi-Doctor episode, something like “The Four Doctors.” It IS the TENTH series, after all. I would also love to see the actors who played the Fifth, Sixth, Seventh, and Eighth Doctors get some legitimate screen time in the new era of Who. EVEN if they’re not portraying their Doctors but are playing “Older Time Lords” or “Concerned Town Elders” or “Ghosts of Christmas Past, Present, and Future” instead. I always enjoy the week before. The week before the new series launches. 12 brand new episodes: fresh and untarnished by critique. 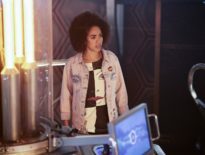 Unknown twists and turns await us: we’ve already had glimpses of friends and foes new and old, the odd plot twist revealed and the Radio Times announcing all the episode titles. But the detail of those friends new and old, the details of those plot twists and the adventures behind those titles – well that all waits to be revealed. Before long it’ll be over. The series ended, catalogued with all the others and given a brief description – ‘the end of the Moffat era’, ‘the one with the multi-Master story’, or ‘the one where….’ well, who knows how this season will be remembered. So let’s enjoy this time, this period of the unknown, as we embark on the thrill of the journey that is the next 12 Saturdays. I’m looking forward, above all else, to see if the Doctor gets his groove back. Series 8 and 9 were sets of episodes that had great moments, but on the whole were unable to captivate me the way that the prior 7 series and specials have. This is in no way a slight against the amazing Peter Capaldi. Capaldi is one of the greatest actors of our time and he has been a great Doctor. However, like a great singer who has to tackle mediocre songs, you wind up with nice moments, but largely forgettable. The moments we remember are either amazing (Heaven Sent) or just complete and utter omnishambles (Kill the Moon). So in this final curtain call for 12, I hope to be consumed with an amazing mix of great stories, monsters, and Capaldi doing what he does best. Side note: if any of the latest rumours come to fruition, it’s going to be a hell of an interesting ride. Besides the creative decision that really shocked me, which was bringing back the original Cybermen, I am most curious to see Capaldi with another companion besides Clara. 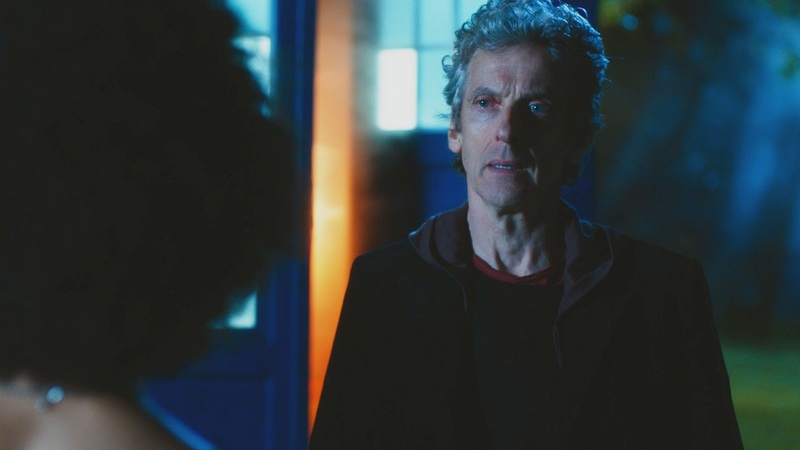 Don’t hate me but ‘I’m one of those fans’ that felt Clara and the Impossible Girl bit got to be too much as time went on, as did the dynamic between the Doctor and Clara once Peter stepped into the TARDIS – so I’m looking forward to seeing Capaldi’s Doctor alongside a new long term companion. Surprises! 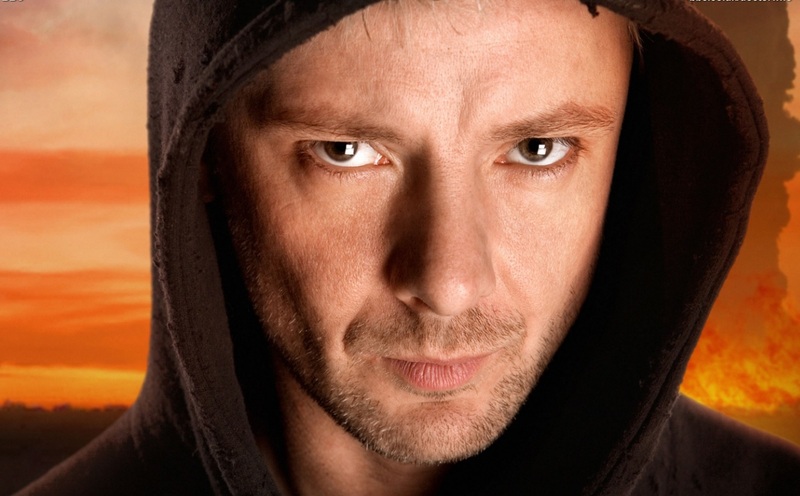 I’ve tried to stay spoiler free, but couldn’t avoid the biggies such as John Simm returning as the Master. So, apart from what we’ve seen in the trailers, I have very little knowledge of what is to come. And I like that feeling! 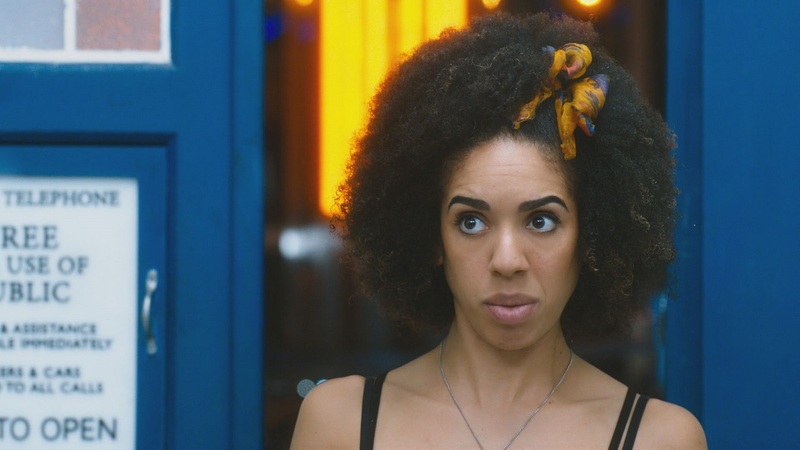 Should be interesting to see what Pearl Mackie’s lack of Whoniverse knowledge brings to her interpretation of how to play a companion. Personally, I don’t see that makes a difference as any decent actor should be able to overcome preconceptions and just play the role given to them and then refine it over time. I look forward to seeing how Capaldi has developed his interpretation of the Doctor, having got over the difficult second year and hopefully now finding his stride – I think his interpretation works best when channelling Tom Baker, as he seemed to do in Mummy on the Orient Express. Just a shame he’s leaving… far too soon! He could have easily done another year under the Chibster, but I suspect there’s an element of wanting a clean slate with the new team for 2018. I’m interested in seeing how Doctor Who ‘responds’ (if it chooses to do so) to the current real political climate: Trump, Brexit, Syria etc. 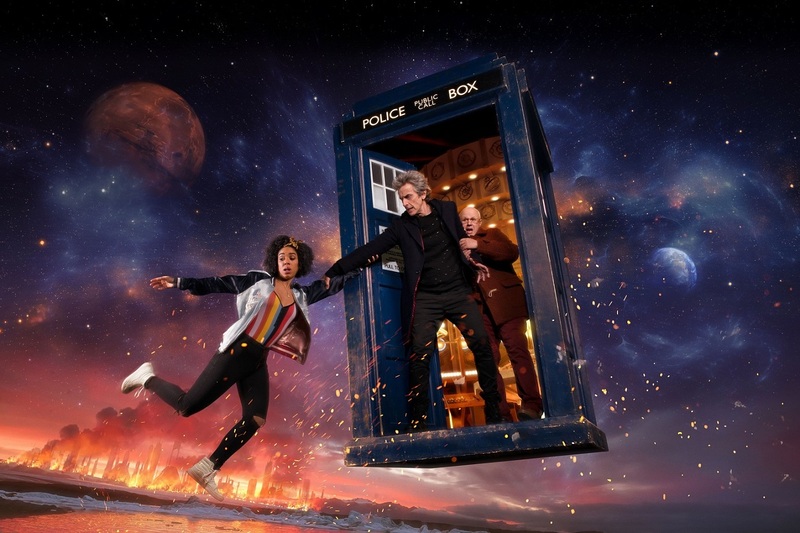 Harness’ Zygon two-parter from last series, especially, felt very relevant to the ongoing migrant crisis, so I’m excited to see what Harness and his Inversion co-writer, Steven Moffat have cooked up for Series 10. 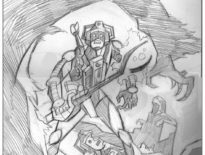 For his part, Harness is contributing a post-apocalyptic story, The Pyramid at the End of the World, that looks to be set somewhere exotic with UN Peacekeepers in tow. The three-parter mid-series in Series 10 also appears to be laden with political commentary, featuring ‘Truth’ monks and a (rumoured) return of the brain-swapping Shoal from Doctor Mysterio. I haven’t been the programme’s greatest enthusiast in recent years but it does feel good to have it back after (another) long break. Launch publicity has been handled rather better than last time (no repeat of ‘Same old, same old…’ thankfully) but I do worry that the series looks rather heavy on continuity and past references. What am I most looking forward to? It would be nice to feel that Doctor Who is must-see television again, not because of returning characters or monsters popping up, but more through telling good stories with compelling characters who aren’t just there to deliver wisecracks and smart retorts. Perhaps the likes of Rona Munro and Mike Bartlett can give us some surprises? 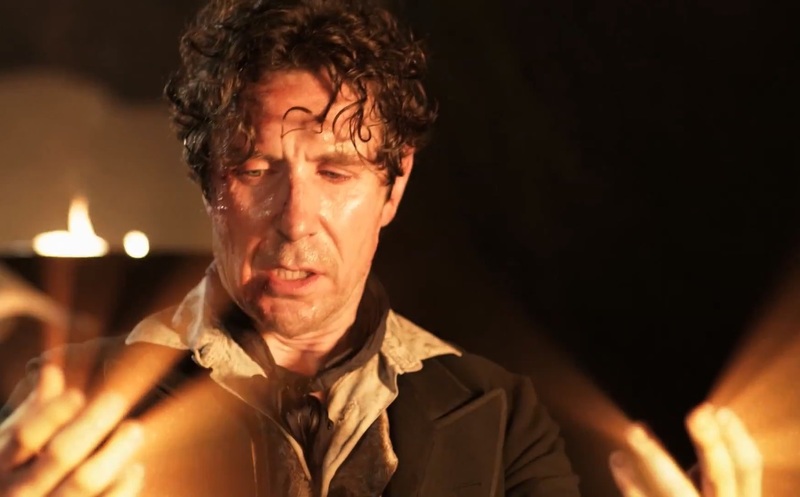 Or how about a new twist on regeneration, given the viewers know it’s coming? There’s a lot to look forward to, and mixed in with the usual excitement is the also-usual nerves. 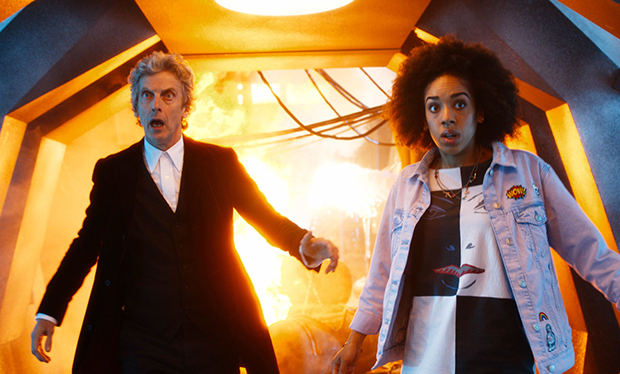 The Peter Capaldi era has made me anxious about how the show will be changed each week – I’m blaming Kill the Moon, Hell Bent, and Missy for those nerves. But this series is looking very promising. I’m hoping it feels like a fresh start again, in the same vain as Smith and Jones and The Bells of Saint John. The one thing that sticks out more than anything else right now is the return of one of my favourite actors: John Simm, the Master. I can’t say the previous episodes he’s appeared in have been especially great, but he has always been the best thing about them. The mania, yes, is divisive (yet his insanity is a reflection of the Doctor’s), but in the quieter moments, he’s just as compulsive. What a performance. What an actor. What a Master! That’s what we’re looking forward to. But what about you? Let us know in the comments!